On November 14, 2017, Airbus and Japan Airlines presented a prototype of a blended reality training equipment which was developed using Microsoft HoloLens. This technology provides access to aircraft digital data which can be viewed from any angle to run specific aircraft procedures virtually. So users can learn from anywhere, without the need of the physical aircraft, using a holographic coach or an interactive, shared 3D virtual system. The application is planned to be used for mechanics and crew training on JAL’s incoming fleet of Airbus A350 XWBs. JAL signed a purchase agreement for 31 A350 XWBs in 2013. The delivery of the first A350 XWB to the airline is scheduled for 2019. 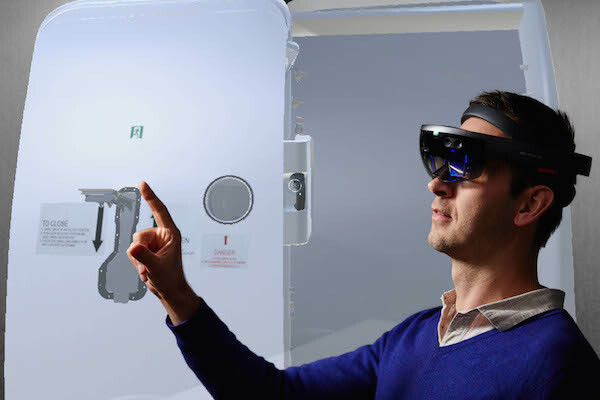 “Airbus is planning to offer HoloLens for some selected training scenarios to airlines in the world including JAL on the introduction of the A350 XWB,” manufacturer stated. In the presented prototype, the A350 XWB aircraft’s body, cockpit, door portion are displayed in front of a pilot, so it is possible to train the procedures necessary for operating the aircraft by using hands and controllers. Airbus and JAL have been jointly developing mixed reality training equipment using Hololens since 2016 after Airbus became a member of the Microsoft mixed reality partner program.